If you're lamenting the lack of a 3DS, this is a good opportunity to buy a used system with warranty. If you're one of the unfortunate souls surrounded by people with 3DS's, absorbed in their Pokemon game while you can only watch, Nintendo has a deal you'll want to consider. 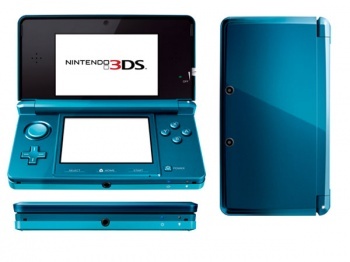 Nintendo has refurbished some 3DS systems and reduced their prices. The Aqua Blue and Midnight Purple versions of the 3DS are $110 in the Nintendo store, reduced from $130. The Blue/Black and Red/Black versions of the 3DS XL are $170, reduced from $180. The price reductions are temporary, and Nintendo has not said how long the discount will last. Nintendo's refurbished 3DS systems come with a one-year warranty. There may be scuffs or blemishes on the systems, but the systems are fully functional. In comparison, the price for refurbished 3DS systems sold by GameStop is $160 and for the XL it is $190. The Nintendo refurbished 3DS systems include the AC adapter, stylus, and SD card - 2 GB for the 3DS and 4 GB for the 3DS XL. For anyone who finds themselves downloading more games than purchasing physical copies of games, Nintendo also has a 3DS XL with the 4 GB SD card bundled with a 16 GB SD card for $180. Nintendo states their refurbished products have been "cleaned, tested, and inspected to meet Nintendo's high standards." They come with the same one-year warranty you would receive when buying a new system. The discount is only temporary, but even then the original price for a refurbished 3DS from Nintendo's online store is $130, the same price as the recently launched 2DS.